Located in the heart of Levallois, just a stone's throw from the Louise Michel metro station, the ibis Levallois Perret hotel is perfectly located for getting to St Lazare, Porte Maillot, La Défense and the Espace Champerret. 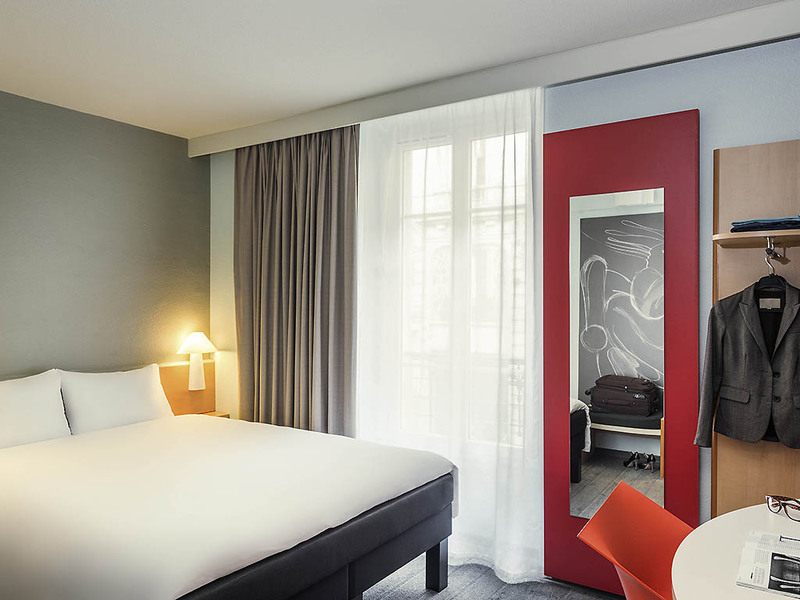 The ibis Levallois Perret hotel has 53 completely renovated rooms, equipped with the new Sweet Bed by ibis bedding, air-conditioning and free WIFI. The hotel also has a bar with a terrace and a 24-hour snack service. Paying public car park close to the hotel. Direct connections via metro to the following sights: Opera, stock exchange, République, Porte Maillot convention center. Snacks available 24/7 You can enjoy snacks in your room or in the lobby Hot meals available.